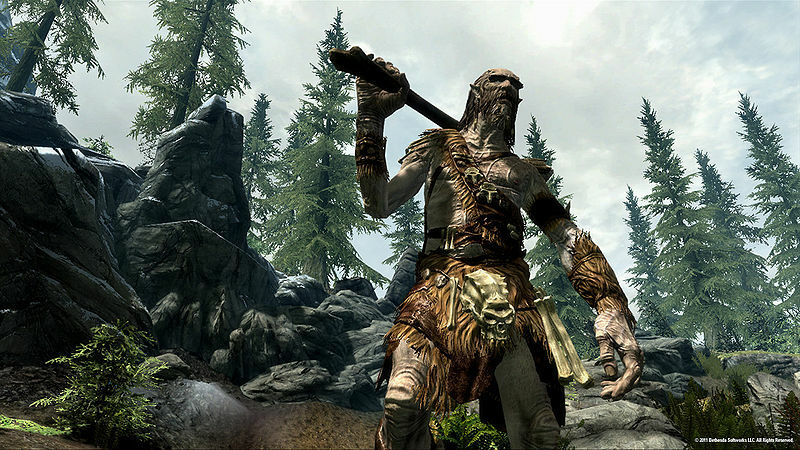 Set in the Nordic region of Skyrim, the player takes to roll of 'Dovahkiin' (translated as 'Dragon Born') in the next installment of the renowned Elder Scrolls series. What's sort of game is skyrim? 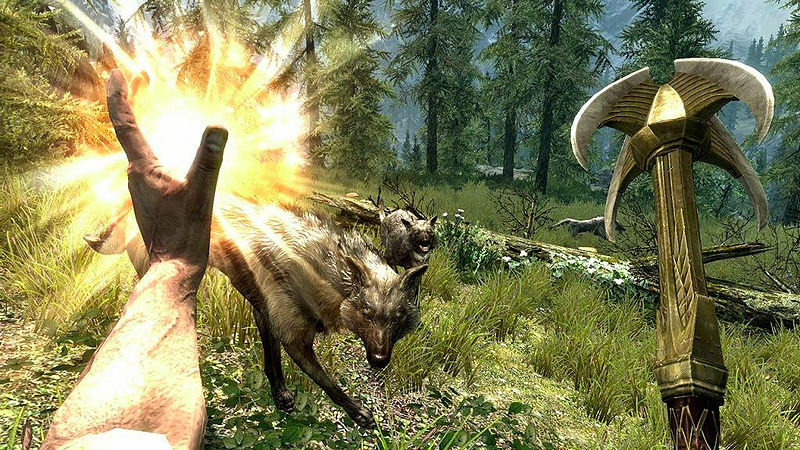 Like it's predecessors, Skyrim is a Roleplaying game that takes place in a large, open world environment filled with Mystical creatures, detailed NPCs and stunning scenes. What's the main story about? Their defeat was merely a delay. For the time after Oblivion opened, when the Sons of Skyrim would spill their own blood. But no one wanted to believe... believe they even existed. And when the truth finally dawns, it dawns in fire. The Nordic civil war is the final of a sequence of events prophesied by the Elder Scrolls, which have also prophesied the return of Aludin, the Nordic God of destruction who will destroy the world. As the Dragon Born, it is your job to stand up against the threat and save Tamriel from this fate. What can you tell me about the technical things about the game? When can I purchase this!? Im sick of these megathreads being stickied just because an Moderator makes it/likes it. Ive seen several good ones. The Elder Scrolls V: Skyrim is a role-playing video game being developed by Bethesda Game Studios and published by Bethesda Softworks. It is the fifth installment in The Elder Scrolls action role-playing video game series, following The Elder Scrolls IV: Oblivion. It is scheduled to be released on November 11, 2011 for Microsoft Windows, PlayStation 3 and Xbox 360. Skyrim is set two hundred years after the events of Oblivion, in the land of Skyrim. The province has erupted into civil war after the assassination of its king. Concurrently, the god Alduin, who takes the form of a massive dragon, has arisen to destroy the world. 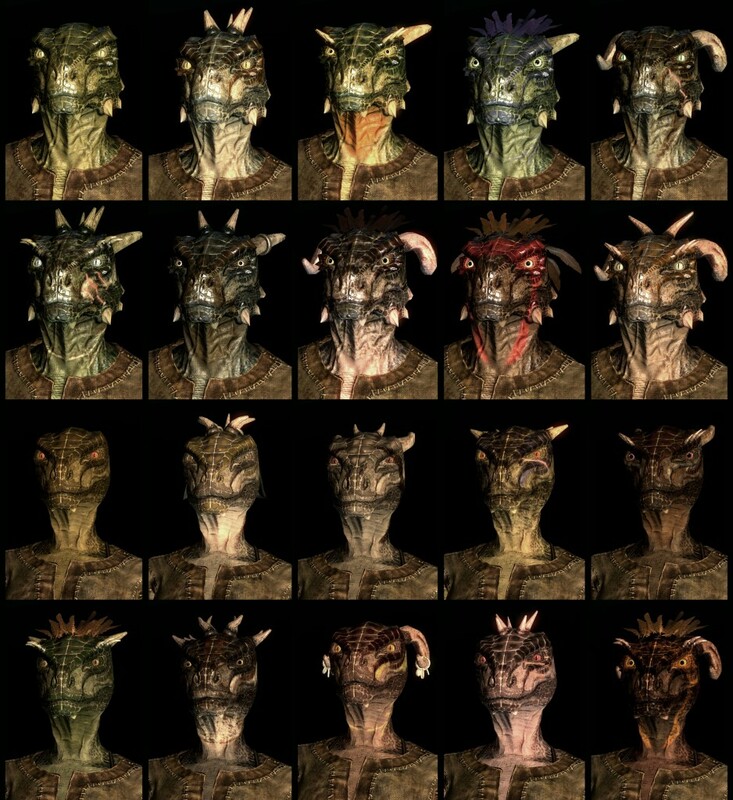 The player character is one of the last living Dovahkiin (Dragonborn), and must fend off Alduin and save Skyrim from destruction. Skyrim is the northernmost province of Tamriel, and is a cold and mountainous region. Although it is one of Tamriel's less hospitable provinces, it has been home to both elven and human civilization since time immemorial. It is currently inhabited by the human race of Nords. The Aldmer and Falmer occupied Skyrim until the late Merethic, when the final wave of Nordic immigration, led by Ysgramor, finally drove out the Mer. Skyrim is a rugged, ravaged place, the site of many past battles. The Nords believe that they were created here, on the mountain known as High Hrothgar. Settlers from Atmora made landfall here many times before claiming the region as their own. These spaced-out migrations often resulted in clashes with the Aldmer. "Out of this time also rose one of the most legendary of all Tamrielic figures, Ysgramor, from whom all Nordic kings are descended." His clan expanded their territory, and it continued to expand and contract by winning and losing territories in Morrowind and High Rock. After quarrels from the rivalries of the Ysgramor clan however, Skyrim weakened and separated into multiple states during the War of Succession. Thenceforth it would only be united for brief periods. Skyrim engaged in multiple clashes with High Rock over its western Reach, a civil war involving The Wolf Queen of Solitude, an invasion of Cuhlecain's kingdom of Cyrodiil, and wars with Hammerfell and High Rock during the Imperial Simulacrum. 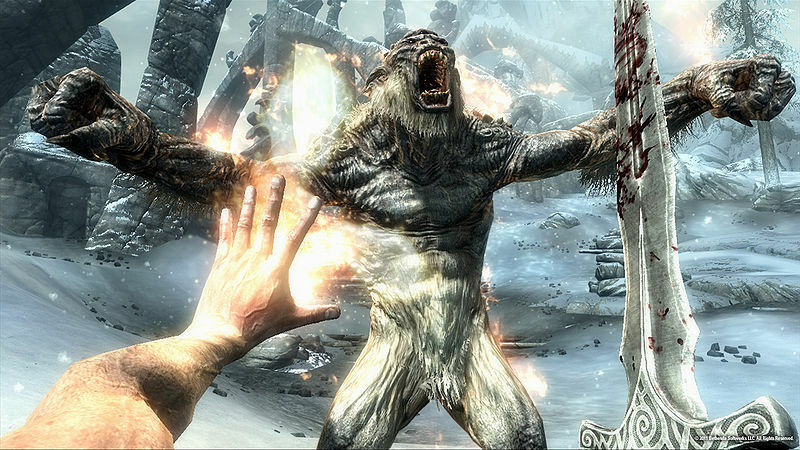 Skyrim retains the traditional open-world gameplay found in the Elder Scrolls series. 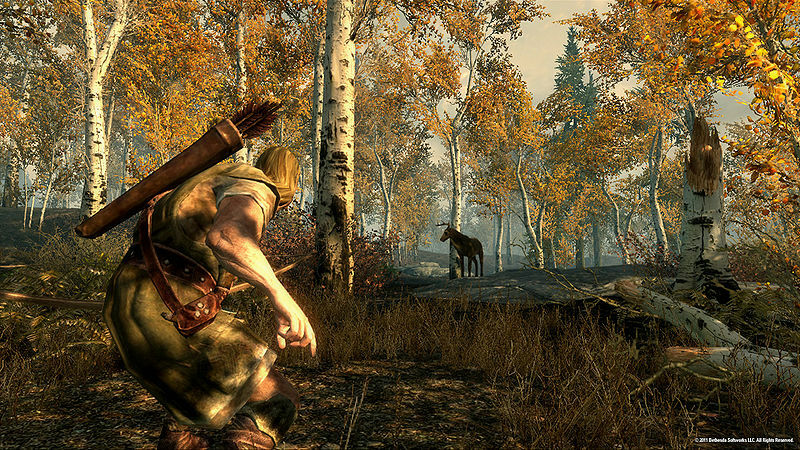 The player is free to roam the land of Skyrim at will, either on-foot or on horseback. Within Skyrim lie five major cities and numerous smaller towns, and expanses of wilderness and mountain ranges. Each city or town has its own economy, which the player can either stimulate by completing jobs such as farming and mining, or harm by sabotaging industrial buildings. The player can train in eighteen different skills, and the player character is leveled up by raising skills. 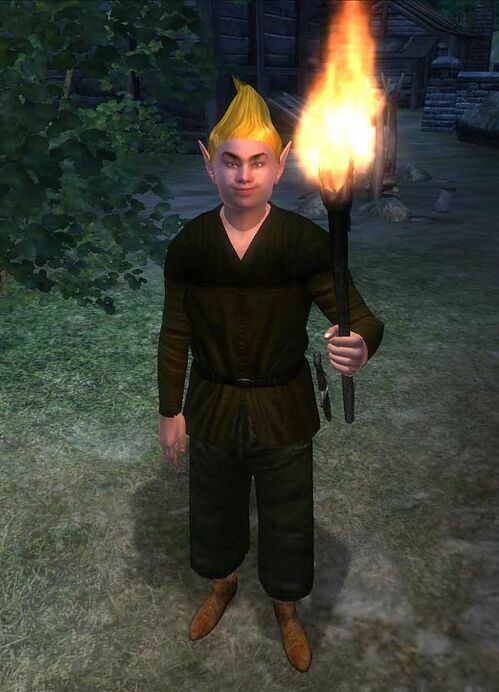 The class system traditional in role-playing games, which had been present in Oblivion, is removed to allow the player's play-style to develop naturally. Perks are skill-specific abilities, organized in a system of branching groups called "skill trees." The player can choose from one of 280 perks each time their character is leveled until the player character has leveled fifty times. Leveling is possible past level fifty, but the rate at which the player levels is significantly reduced. The on-screen heads-up display only appears when the player's health, stamina, or magicka are being depleted. Items and equipment layouts can be saved to a quick-access menu, and the pause-screen inventory menu is presented in a compass-style overlay; while in the inventory, the player can rotate and zoom in on acquired items. Weapons can be created by the player at a forge, and are assigned to each hand individually, allowing for dual-wielding. At the cost of stamina, the player can sprint and jump. Shields can be used with a bashing attack, and timing is required for blocking with a shield. Blunt, bladed, hacking and stabbing weapons each have specific advantages and roles; as an example, the player is granted the ability to perform finishing moves. There are over eighty-five spell types, which can be used in ranged and close combat forms. Spell types have specific qualities; a frost spell slows and drains stamina, while a fire spell causes prolonged damage through burning, and may also ignite the environment. Players can equip one spell per hand and will be able to charge up spells before casting for greater power. When practicing archery, arrows take longer to draw back than in previous Elder Scrolls games, but do greater damage. Because of this, arrows are expensive and considered rarities. A player equipped with a bow can use it defensively in close combat, in a charging counterattack. The player can sneak, and non-player characters (NPCs) become alerted if the player's movements are detected. Skyrim makes use of the Radiant AI artifical intelligence system created for Oblivion, which has been updated to allow NPCs to "do what they want under extra parameters". The updated system allows for greater interaction between NPCs and their environments; NPCs can perform tasks such as farming, milling and mining in the game world. NPCs can interact with the player character through conversation, and can request favors and training for the player, or challenge the player character to a duel. Events such as dueling are randomly-generated encounters, taking influence from Bethesda's previous game Fallout 3. 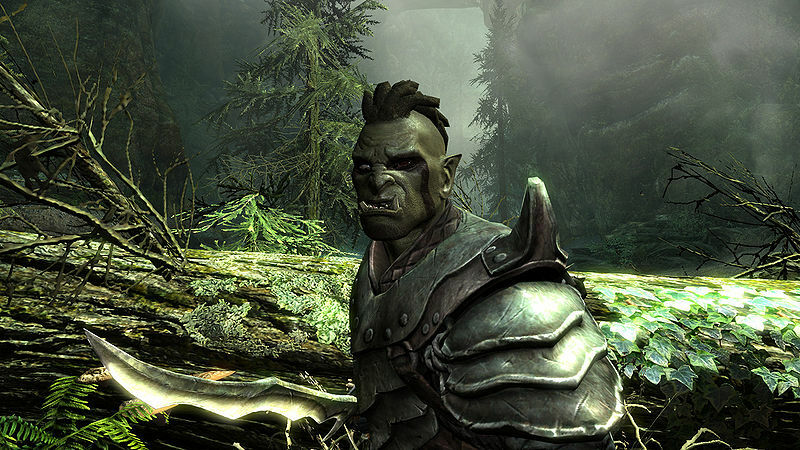 Skyrim introduces the Radiant Story system, which governs quests and how they function. Side-quests are dynamically altered based on the player's actions, and are tailored to the player's abilities and progress within the game. 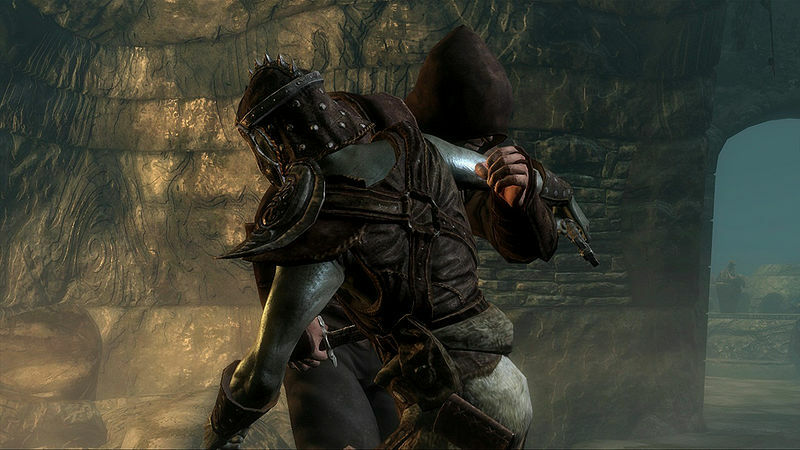 As an example, the player might be sent off to a dungeon that has not been previously explored, and face enemies that are defeated most effectively with the player's preferred combat style. Skyrim is not a direct sequel to Oblivion; rather, it is a new chapter in the Elder Scrolls series, set two hundred years after the events of Oblivion. In the preamble to Skyrim, the Empire began ceding territory to the Elven nations it once ruled, because there was no heir to the Emperor's throne. The Blades had no one to defend, and gradually died, were murdered, or secluded themselves from the rest of the world. After the king of Skyrim was assassinated, a civil war broke out amongst the native Nord race – the majority being those who wished for Skyrim to secede from the Empire, and the rest being those who wished for Skyrim to stay in the Empire. As with previous Elder Scrolls games, Skyrim begins with the player character as an unknown prisoner, on the way to their own execution. The player eventually learns that Skyrim's civil war is last in a sequence of prophetic events foretold by the Elder Scrolls, which also foretell of the return of Alduin, the Nordic god of destruction. Skyrim's game world is the province of Skyrim. It is a northern province of Tamriel, the continent on which all the games in the series have taken place. Skyrim is roughly the same size as Oblivion's game world Cyrodiil, which is around 16 square miles (41 square kilometers) in area. Within Skyrim lie five cities, larger than Cyrodiil's cities, as well as smaller townships and expanses of wilderness. 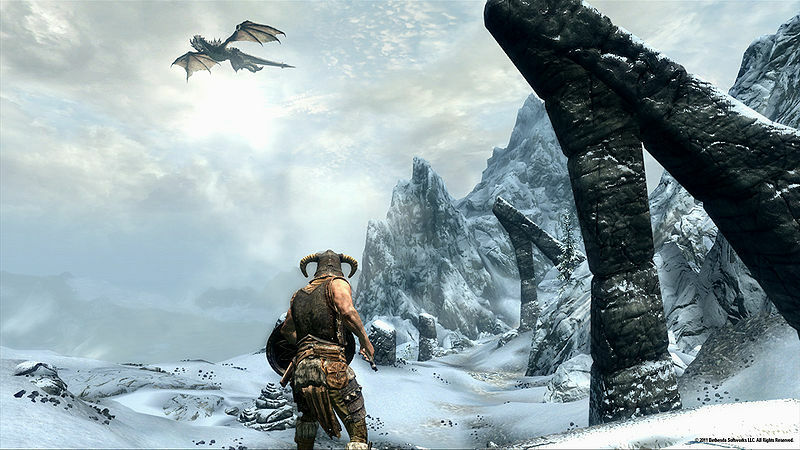 Much of Skyrim's topography is mountainous, and dragons are frequently encountered when exploring the wilderness. 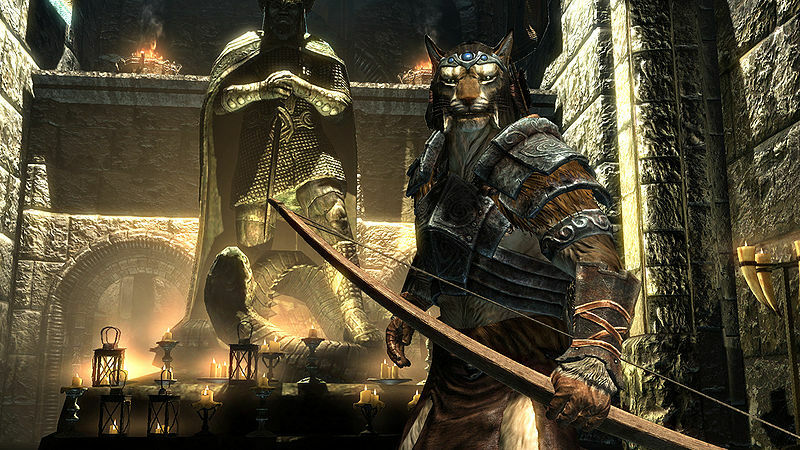 There are over 150 dungeons scattered across Skyrim, and when the player enters a dungeon for the first time, the monsters within lock to the player's level permanently, even if visited later at a higher level. Fast-travelling is a returning feature, allowing the player to instantly travel to any marked location that has been previously visited. Want to hear more about the game from the lead designer? Are you cool? Are you sure you're cool? No. Of course you're not... Because you havent checked out my channel yet! Any time I read anything about Skyrim I squeal like a schoolgirl. Also, can you not find any other pics of the races? The ones that I linked? Those are the only ones that I know of. Would I be able to run it? I was torn between two games with a lot of potential, but in the end, Skyrim was the victor. This game will be epic. Location: In some dark place. omgomgomg i love this game! the pre-release came out today!!! My friend made me mad. "No one is going to buy that, people only play first person shooters now". Let this guy try Skyrim, for an hour. He'll convert in a minute. My friends say that too.... They're just idiots who like same old FPS games over epic RPGs. When I tried to play Rage for my Xbox 360, it couldn't install it, it said I needed 22 gigabytes of memory and my external hard drive only holds around 15 gigabytes. So I took the memory unit out of an old laptop and switched it with the one I currently used and it worked. The only problem is that I have to switch the memory units each time I want to play Rage or another game. Holy ****, what is this? Forged in God's very flames. A new Elder Scrolls Game? Venture forth on my quest. I'll be off Azeroth, catch you later Hyrule. I'll be gone Albion, I'm no longer your fool. in the land of Skyrim! Friday I have off from school. Pull all nighter thursday night.